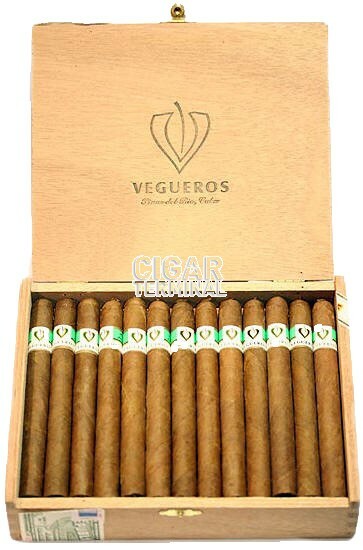 The Vegueros Especiales No.1, discontinued in 2010, is a light yet tasty Long Panetela, 7’5” (192mm) long, of 38 ring gauge, and comes in a 25 cigars box. Vegueros have a mild body with a light spiciness, and are offered in cabinets of 25. Dark oily batch for these Cuban cigars made of superior tobacco of Pinar del Rio. 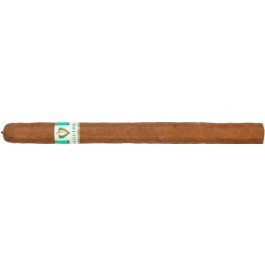 same size as Montecristo Especiales 1.